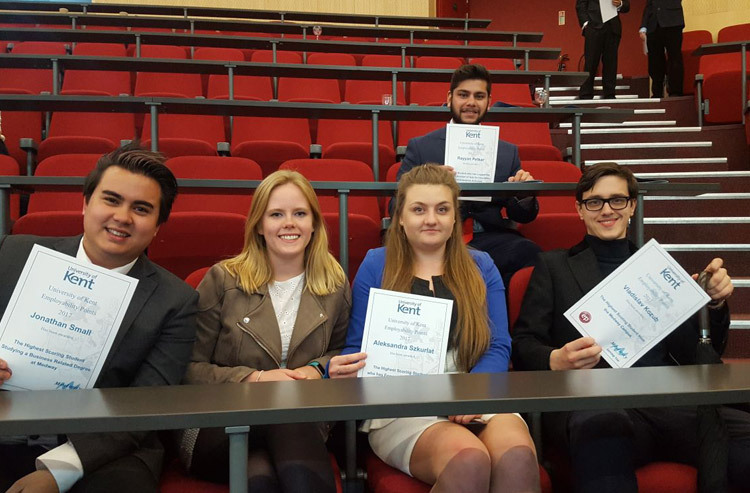 Kent Business School is proud to announce that six business students were among the winners at the Employability Points Rewards Ceremony 2017. 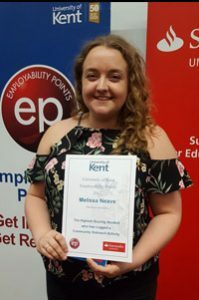 The evening was organised to bring together high-scoring Employability Points students, local businesses, and organisations involved in the scheme with representatives from the University of Kent to celebrate these successes. The Employability Points Scheme rewards students for their involvement in extra-curricular activities alongside their studies. Students can claim ‘Employability Points’ for each activity completed and redeem their points for a chance to apply for rewards including paid internships, project placements, work experience, training, vouchers and more. 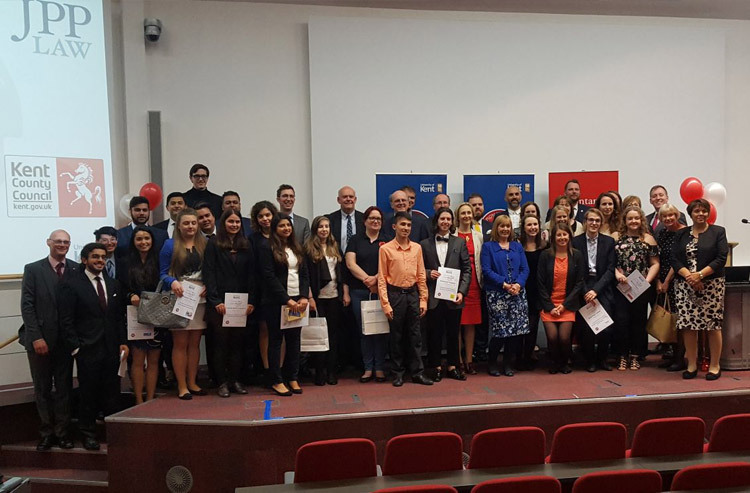 Congratulations to all the Employability Points reward winners from all at Kent Business School. Find out more about the Employability Points Scheme.